As concern over changing climate conditions in the world was growing in the late 1990s, the U.S.A. had thousands of weather measurement stations collecting data. However, it was determined that many of the stations were inconsistently sited and managed, were aging, and were in danger of losing credibility. The best of those stations, called the Historical Climate Network, collected good data as far back as the 1930s. 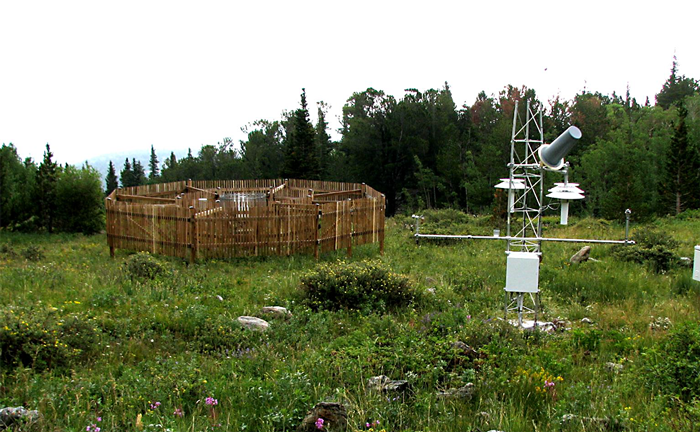 To provide reliable information to those evaluating the potential effects of climate change, the network of temperature-measurement stations needed to be improved. Huge amounts of historical climate-observation data needed to be verified, and a program was required that would provide continuous, homogenous weather measurement far into the future. The task to stabilize the nation’s existing observation capabilities, and to develop, implement, and operate climate-observing programs over the long term was given to the National Oceanic and Atmospheric Administration (NOAA) and its Atmospheric Turbulence and Diffusion Division (ATDD). The mandate included building a new network of high-quality weather stations that could be counted on for consistent measurements for 50 years or more. The agency also had to compare data from the existing Historical Climate Network with data from the new stations to verify that the historical data was reliable. The goal was to provide a trustworthy, continuous stream of data from the 1930s into the twenty-first century to detect climate change. NOAA established the U.S. Climate Reference Network (USCRN) with the intention of it being the nation’s premier climate-monitoring network. The first two experimental stations were installed in 2001. To be sure the network would collect high-quality data for decades to come, ATDD tested many components to determine the best equipment for long-term, high-quality measurements in remote sites. They chose Campbell Scientific’s CR3000 Micrologger as the core of each of the more than 114 stations in the network. Communication is via Campbell’s SAT HDR GOES transmitter, and the datalogger power supply and enclosure are also from Campbell Scientific. The two primary variables for the USCRN, air temperature and precipitation, are both measured with triple-sensor configurations. Each station features three aspirated, 1000 ohm, RTD temperature probes and a rain-and-snow gage with three sensors. These instruments are installed inside a small, double-fence intercomparison reference fence to maximize precipitation catch efficiency. Secondary variables include wind, solar radiation, infrared radiation, soil moisture, soil temperature, relative humidity, and snow depth. USCRN stations are installed in pristine locations that are not expected to be developed for at least 50 years so that measurements will not be affected by buildings or roads. This means they are hard to reach for maintenance and repair, so the proven ruggedness and reliability of the Campbell gear makes it ideal for this application.